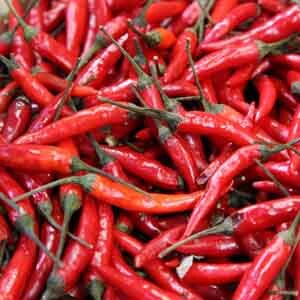 Red Chili Peppers are a delicious way to turn up the heat on your favorite recipes. 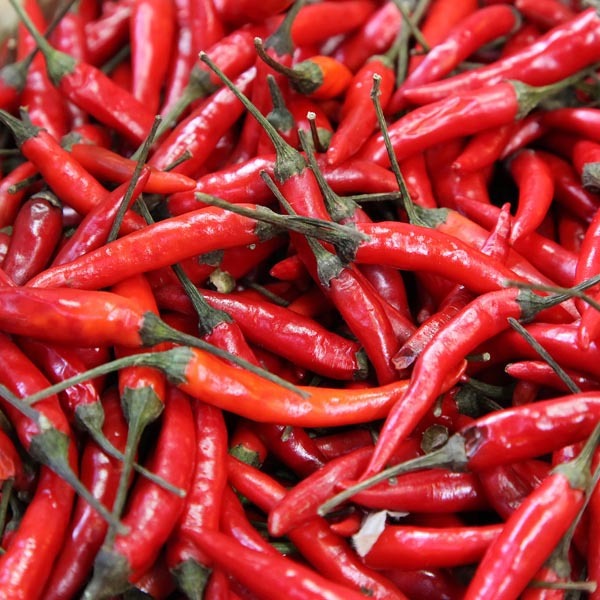 The slender, bright red peppers add great color too! Plants produce heavy yields on compact plants all through the summer. This is a good choice for small space gardens and patio containers. Excellent for flavoring a variety of dishes. Great for adding a zesty kick to homemade salsa or chili. Preserve by canning, drying, or freezing. Wash fruits, vegetables and herbs thoroughly before eating.